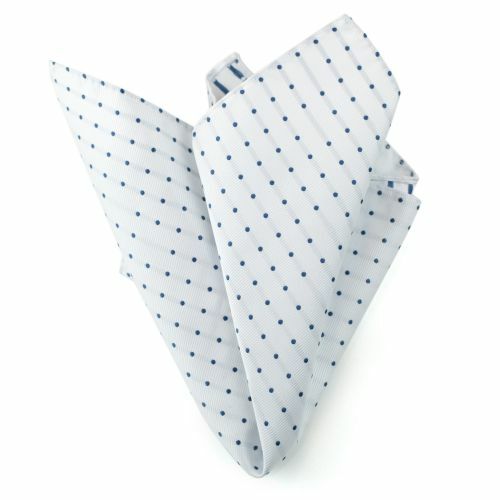 Crisp white pocket square with navy blue polka dot pattern. Some dots are randomly missing though. 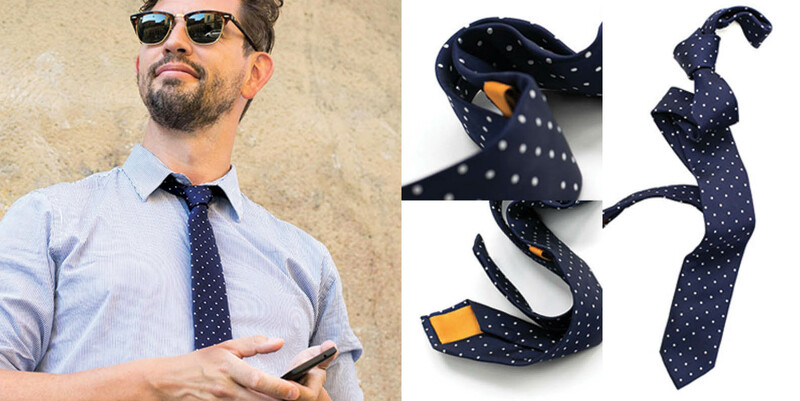 This is the inversion of our Navy Dots tie. With which - we'd like to point out - it's a perfect combo. 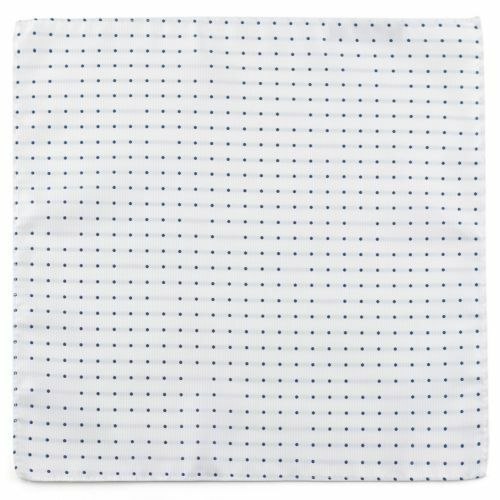 White, navy blue polka dots. 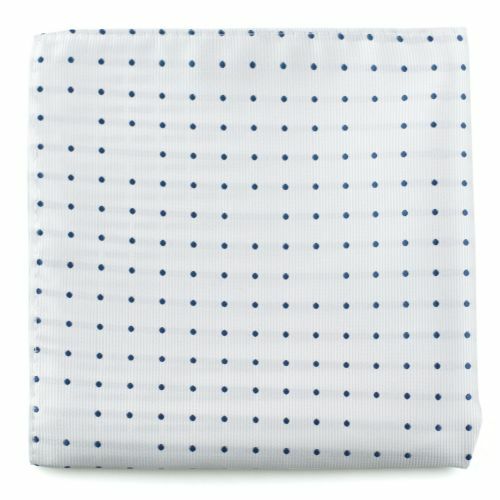 Polka dot, with some random dots missing. 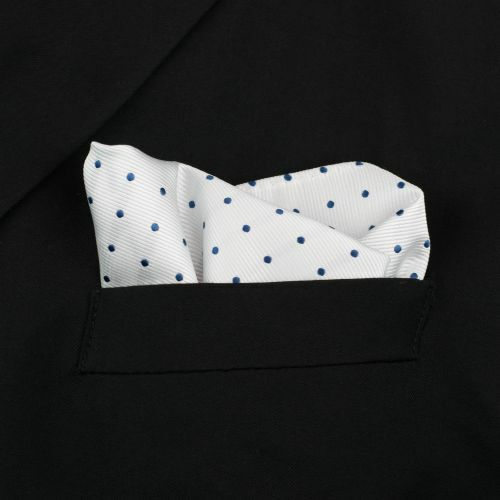 A white polka dot patterned pocket square for your jacket is classic and cool. Though, this one have a few dots missing, adding that complexity that makes you stand out and avoid the too-safe-lane.